As the founder of sensational spa brand ESPA, Sue Harmsworth knows a thing or two about health and wellbeing. Here, she takes time out of her busy schedule to tell beauty editor Ivana Sidey how to achieve a work/life balance. My personal philosophy has always been about holistic wellbeing – working from the inside out to create natural beauty and inner calm. I take every opportunity to stay healthy, both physically and mentally. I stay fit, eat organic, nutrient-rich foods, have a rigorous skin and haircare regime, and go on a retreat twice a year. I'm also blessed with having a family I'm very close to – great daughters in law, two amazing sons and six wonderful grandchildren. This all means I'm ageing well, am happy and have boundless energy… long may it continue! What trends can we expect to see and enjoy? he sense that clients need to escape certain chaos, stress and noise is heightening- there is a growing number of workshops on meditation, nutrition and mindfulness as they want to learn how to take the therapies home from the spa and incorporate into everyday life, assisting with better rest and wellbeing. Sleep programmes and the popularity of sleep pods will remain a very current trend for a long time. Lifestyles are continuing to change dramatically, becoming even more fast-paced, demanding and technologically driven. The impact of this, and the health and wellbeing issues they bring, has brought to light the fact that traditional health services simply aren't equipped with sufficient resource to be able to deal with the magnitude and new type of demand. More and more, customers are therefore turning to spas and therapists, seeking out complementary or alternative medicine and specialist holistic lifestyle solutions. 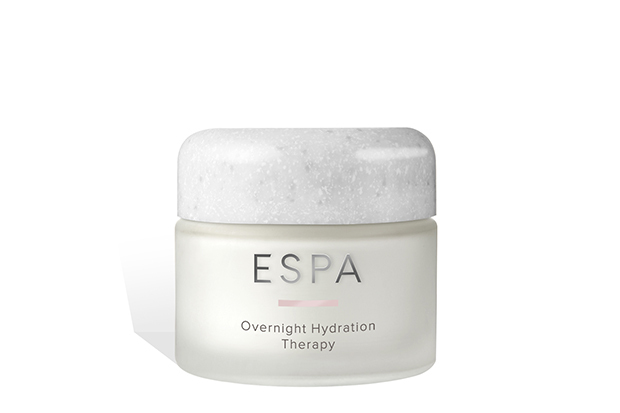 For those who don't know, what's an ESPA spa like? It's almost impossible to say, there are so many beautiful ones! I believe that every ESPA spa should have its own distinctive sense of place, inspiration comes from the local heritage and customs or rituals in each destination, the indigenous plant and marine life, the changing settings and cultures and, of course, the very many people we work in partnership with along the way. Everything from how the spa is laid out to create the customer journey to the soft furnishings, flooring, walls, heat experiences and fixtures, are meticulously selected in line with what has inspired our particular design brief for that spa. As a hugely successful woman in business, how do you achieve a work/life balance? As controversial as it sounds, I don't believe there's such a thing in life as balance. You're either truly passionate about what you do or you aren't. If you are, your work, your home and your social life all meld together. Do you have any morning or evening routines you swear by? I begin my morning with a cup of hot water and lemon and regular stretching. I also focus on my skincare regime in the morning. I apply Regenerating Face Treatment Oil, followed by the LIFESTAGE NET8Serum, 24 Hour Replenishing Eye Moisturiser and one of the ESPA moisturisers. My final layer is Optimal Skin ProDefence which I feel is an important step for me as my skin mainly suffers the effects of the environment from pollution to lighting and stress. At night, I apply a layer of Overnight Hydration Therapy, an overnight sleep mask to repair my skin so I wake up to skin that looks well-rested, refreshed and hydrated. When I travel I regularly spritz my skin with Hydrating Floral SpaFresh, along with drinking lots of water to help keep my skin hydrated. I also keep Wonderbalm in my handbag to apply to lips and cuticles while on the go. When I travel long haul, I remove my makeup and apply a thin layer of face oil with Overnight Hydration Therapy over the top and leave on for the duration. Other essentials include my noise eliminators to drown out aircraft noise and my Missoni blanket, which I always travel with. Are there any key skincare ingredients we should be aware of? There's been a huge explosion in the discovery of natural ingredients, and the technology in harnessing their potency, and we continue to research the best ones and combine them in our formulas. For example one of our new products – Tri-Active™ Advanced Instant Facial – contains a number of ingredient 'firsts,' such as extracts of White Truffle and Microalgae Cell. We use Encapsulated Lavender vege-beads in Overnight Hydration Therapy, which first activate when rubbed into the skin and then again once your head hits the pillow, helping ensure restful sleep. What treatments would you recommend we try? The Ultimate Bridal Ritual treatment at Macdonald Craxton Wood Hotel & Spa which is a complete skin, body and mind experience to aid relaxation and reveal beautiful glowing skin for the big day. It includes a personalised aromatherapy massage, a full back exfoliation, lower leg massage and a Skin Radiance Facial to relax the body and leave skin beautifully soft and naturally glowing. I believe in having a positive mental attitude. Wake up every day and be grateful for what you have, not what you don't have.